In some parts of the country, where the weather is warm now and hotel later they have already cranked up their youth football seasons. We’ve had conversations with some of our youth football coaches who are in those parts of the country and the early reviews on the 2.0 Draw and Edit Tool have been outstanding! 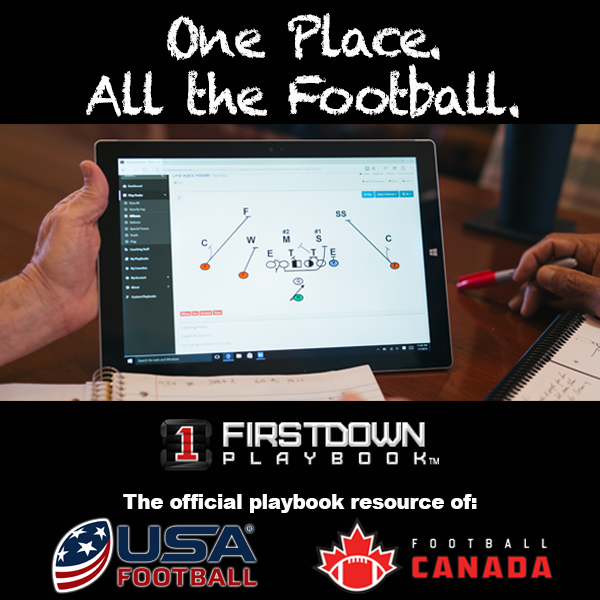 We talk all the time here about how, at the end of the day, FirstDown PlayBook saves you time. Regardless of if you coach in the NFL or youth football, you do not have enough hours in the day to get everything done. If you are a youth football coach, odds are you have a day job and that means you are planning and coaching your youth football team after hours. In many ways this is harder than if you coached professionally. This video takes a look at how easy it is to find a youth football defense that has been designed by professional coaches and then use the editing feature to tailor it to your football team. You will instantly understand why this is changing football coaching at all levels including youth football.